Discover a new way to work or play. The MTVA Commuter Challenge: Get on Board! During the week of April 22-28, we challenge you to ditch your car and take advantage of all of the money-saving, health-benefitting options of alternative transportation. You will be surprised at how easy it is to find new ways to get around that don’t involve a single occupancy vehicle. And by participating in the week-long initiative, you’ll earn yourself a chance to win prizes, like VIP packages at Canterbury Park and gift cards from Refit Athletic. With direct routes to downtown Minneapolis, the Minnesota Zoo, Mystic Lake Casino, and more, MVTA makes it convenient and hassle-free for you to take on the challenge and be rewarded. We get you to where you want to go. Taking the Commuter Challenge is easy. All you need to do is track your trips between April 22-28. On April 29, we’ll send you a simple form via email for you to submit the number of times you opted to walk, cycle, carpool, telecommute, or used transit services. Connect with other Challengers by using #MVTAGetOnBoard. Share your money-saving, heath-benefitting experience and get your friends on board! Challenge your family, friends, and co-workers to join you in doing your part to support a healthier planet. (The Challenge kicks off on Earth Day, by the way!). Compete head-to-head or form a team. *We’ll ask you to confirm your referrals via the email you will receive on April 29. What modes of transportation do you regularly use? Use our Top 20 Destinations brochure to plan fun outings and check out the exciting events going on all over town. You can easily organize an outing with friends using our Trip Planner. Using MVTA to take the Commuter Challenge is easy and convenient. We have 31 routes with 20 transit stations and park & rides. We serve seven cities and two counties. Plus, we have heated transit stations and bus shelters, limited mobility-access and bike racks on our buses. Make your way to Mystic Lake for blackjack, slots, or bingo, plus handcrafted pizzas, fresh pasta and sizzling stir fry at the buffet. Treat yourself to a spring wardrobe makeover at the Twin Cities Premium Outlets. Experience the best in retail, entertainment and attractions at the Mall of America. Try to move a different way every day. Burn calories and relieve some stress by walking or biking to your stop. 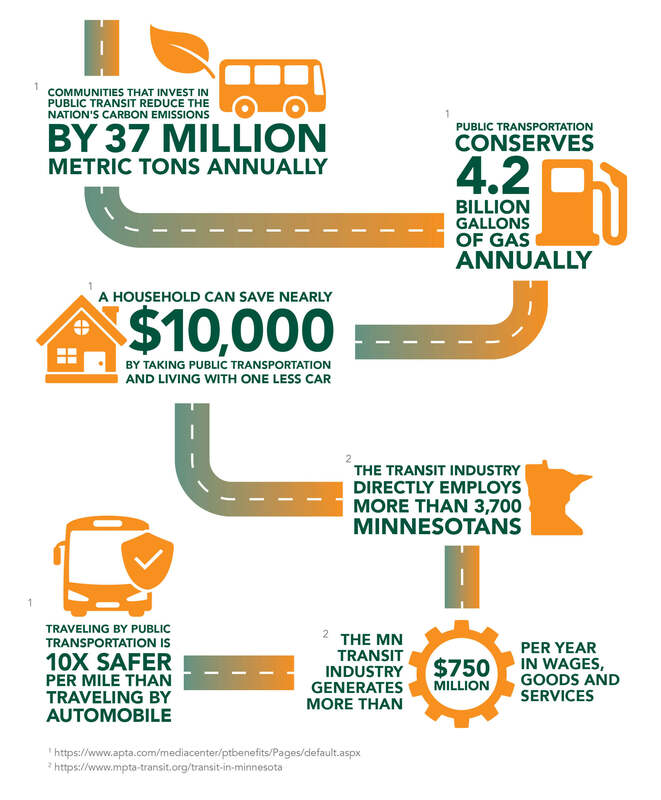 The average household spends 18 cents of every dollar on transportation, and 96% of this money goes to buying, maintaining, and operating cars—the largest expenditure after housing. Whether you’re rocking out at a concert, enjoying a ballgame, treating yourself to a shopping trip, or getting lucky at the casino, MVTA is a safe and easy way to take on the challenge.